Some people run for weight loss, general fitness, or the ability to eat whatever they want. In The Summit Seeker, Vanessa Runs explores trail and ultra running on an emotional, psychological, and spiritual level. Vanessa started running to battle her demons, to heal her deepest wounds, and ultimately, to find her peace in the mountains. Her vivid descriptions of spectacular trails call you into wild places where you will find rugged beauty, expansive wilderness, and deep personal insights. Weaving her personal stories of struggle, hunger, and adventure, Vanessa tugs at our heartstrings and appeals to our most primitive drive as a species: to survive. 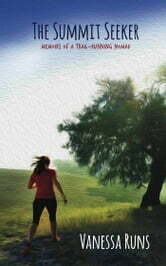 An Interesting life story, showing that running is not just about racing but about living well. If more of us lived like Vanessa the world would be a better place. I read this in just two or three sittings. A great read.